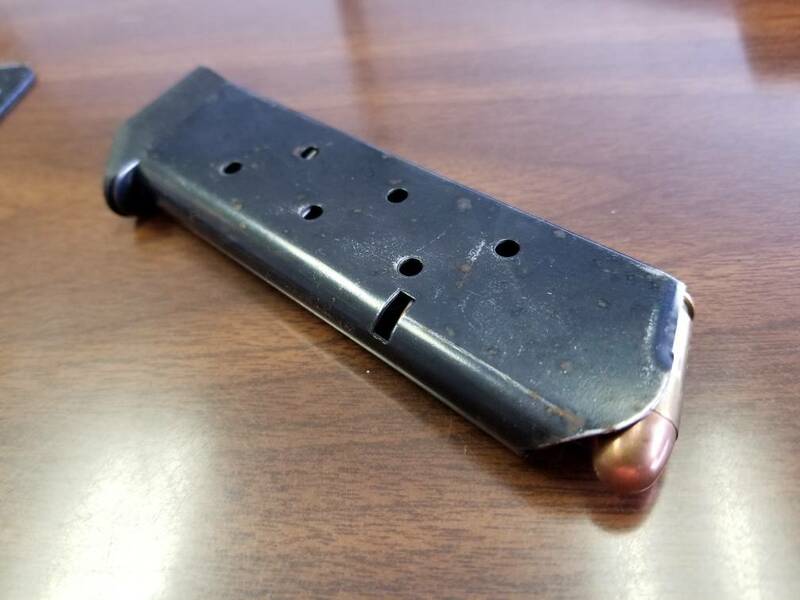 Unknown brand 8 round magazine for a 1911. The basepad says Lone Star Ordnance. It has 2 rounds of what appears to be 230gr factory ball ammo. They were in my in my desk drawer and I dont know why. If you go into the match Saturday would you bring it with you and still be free? Do you take bit coin?